"From the state of rigor mortis, this one appears to have been killed late last night. Odd." "Anything else in her reticule?" Ruddy asked. "Just a few ladies things: a comb, an enamel box with mint candies, and two guineas and one gold sovereign." The amount raised eyebrows in all the officers within earshot, including Ruddy. The last was more money than any woman he personally knew carried. It was more than many men or women earned in a month. Robbery couldn't have been the motive. No everyday street criminal would leave that kind of money behind. I love a good mystery/detective story, finding myself drawn in quickly and as the story progresses I try to out-sleuth the author. The problem is that this usually leaves me disappointed because I have resolved the plot before the climax of the book happens. I don’t know if it is my puzzle solving mind or the work of most mystery writers but I tend to want the twists and turns to be more creative and keep me guessing until the very last moment. That is my personal opinion though. Having said that, Silk by Chris Karlsen might just be your next great read. Murder is afoot in Victorian England and Detective Inspector Rudyard Bloodstone juggles politics at the office, a budding romance with a pretty milliner, a rising body count, and the possibility of multiple murderers on the loose. Silk has a dual plot line that is easy to follow and the transitions between the two are seamless. I felt like a fly on the shoulder of the characters in this story, experiencing the world from their vantage point. The first plot follows that of a viscount named William. He is a very intellectual character who, I feel, is on a quest to understand certain behaviors and has all the makings of being a gentleman...well except for one small thing. Readers will understand what that thing is right away. The second plot follows Detective Inspector Rudyard Bloodstone as he investigates a serial killing spree in London. He is everything a good detective novel requires of the P.I. : He is stoic, funny, and sort of reminds me of myself when it comes to solving a mystery/puzzle - determined. He is a lone wolf who wants very much to solve the crimes happening in his jurisdiction. As my husband said when I asked him to describe the stereotypical detective, “I can’t think of a single detective character that wouldn’t go out of his way to help a kid with his cat.” That is Detective Bloodstone in a nutshell. There is also a subplot love story that happens as well and I found it just as interesting as the murder mystery. The relationship part of the story really hit me in my Jane Austen soft spot. There is so much to like about a romance between a Victorian era detective and a Milliner. There is a humorous exchange in which Ruddy’s partner tries to get him to come to dinner with his family where his wife would like to see Ruddy set up with a “good” woman. Overall the story moved at a good pace and I didn’t figure out the resolution of the story early. I sat wondering how the two plots would come together and I was pleased with how the author weaved it all together. It’s exciting to know this is book one and I can revisit a well loved character like Bloodstone again in the future much like I feel about Harry Dresden from Jim Butcher’s Dresden Files series. 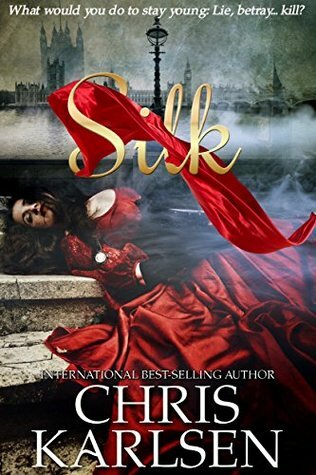 I would recommend reading Silk by Chris Karlsen if you like period pieces, mysteries, and romance all rolled up in one. 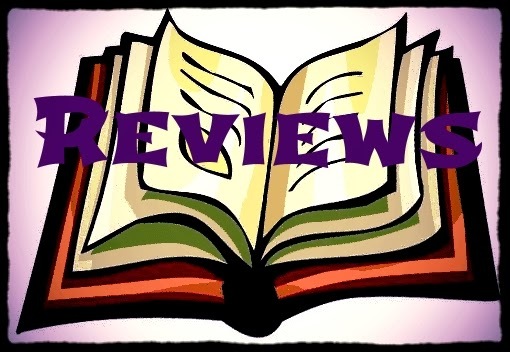 A free ebook was provided for this review. Girl Who Reads is an Amazon advertising affiliate; a small commission is earned when purchases are made at Amazon through the above link. I do enjoy a good mystery....and this one sounds fascinating. Love that cover, too. Sounds like an entertaining book. I like the Victorian England setting. Something about that scene reminded me of Johnny Depp in Sleepy Hollow. LOL The way he turned her head this way and that. Sounds like there's more than one mystery to this one. Great review and 56! Between them it sounds like a decent read. I like mysteries too. I'll have to add this one to my wishlist. Happy reading!